Eurofideme 2(*) has invested in a 10MW solar PV plant in Condom, southwest France, in partnership with Valeco which has been developing this project since 2009 with the support of local authorities. Valeco has undertaken the construction of the project under a turnkey contract and will handle its operation and maintenance. The plant will benefit from a 20-year electricity feed-in-tariff provided by Electricité de France (EDF). The electricity produced by the plant for the next 30 years will offset the power consumption of about 4,000 households. The total investment of 13.3 million euros will be partly financed by a senior loan from Crédit Coopératif and Caisse d’Epargne Languedoc Roussillon. “We are very pleased to start our collaboration with Valeco on this flagship project with sound fundamentals that has earned strong local support. With this investment, Eurofideme 2 confirms its intention to accelerate its expansion in the solar PV sector in France through partnerships with independent operators” explained Raphael Lance, Director, Eurofideme 2. This is the 33rd investment in renewable energies for Mirova Environment and Infrastructure through the Fideme and Eurofideme 2 funds. Eurofideme 2 is an infrastructure fund specialized in investments in renewable energy projects to be developed in Europe. 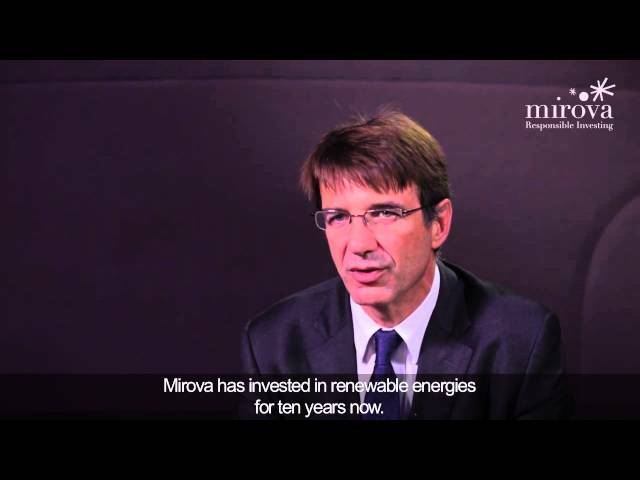 It is managed by Mirova Environment and Infrastructure, a Natixis Asset Management subsidiary. This management company has been operating in the renewable energy sector since 2003, through Fideme and Eurofideme 2, accounting for 33 investments in the construction of over 600 MW of green energy facilities in Europe, partnering with both mid-sized developers and major industrialists. Groupe Valeco is specialized in the prospection, development, construction and operation of wind, solar PV and thermal power plants. Valeco controls the entire chain of businesses involved and works actively with local government authorities with which it has established long-term partnerships. With 165MW in operation, 350MW in preparation and 700MW in advanced development, this company is recognized for its expertise not only as a project designer but also as an operator of autonomous electrical power plants. VALECO is an independent producer of electrical power operating in the industry for over 20 years, and the pioneer of renewable energy in France: in wind energy with the Tuchan facility, the biggest in France (considering the number of turbines) when it was built in 2000; in solar power with Lunel, the first solar power plant in mainland France when it was built in 2008. VALECO is an all-French company employing 48 dynamic persons who are enthusiastic about their business. In 2008, Caisse Des Depots Et Consignations took a stake in VALECO capital. It now owns 35.56% of the company, giving it the benefit of financial stability and a sound reputation. The company is well-known today as a major player in the energy sector that has succeeded in reconciling fast and controlled development, complying with essential values that are particularly appreciated by its partners, and in particular, the local government representatives (quality service, joint decision-making, availability, human-scale) as well as by the banking institutions with which VALECO has a long-standing working relationship.